Catalan chef Sergi de Meià takes all-local, almost-all-organic ingredients and creates contemporary but rustically redolent dishes that evoke a strong sense of place. When I read about Sergí de Meià restaurant last year, it went straight onto my ‘must-try’ list. Run by a young chef from Espluges via the small village of Vilanova de Meià, deep in the countryside of western Catalonia, it’s one of only a few with the the Catalan Slow Food association’s “KM0” award. What does that mean? That the ingredients are certified to be local and ethically sourced (and in practice are usually organic). For Sergi, it’s a simple process: he just serves dishes made with things foraged, caught, reared, or grown by people he knows from where he grew up. The result is a menu full of wild game, free-range and organic meat, seasonal vegetables and sustainable fish. So the produce is feelgood. But does it taste good? Short answer: yes. Sergi honed his skills at restaurants like Akelarre and was then head chef at Montvinic (perhaps Barcelona’s best wine restaurant) for six years before striking out on his own. On my first visit here late last year, I ate the €21.50 lunchtime menú del día and was impressed enough to want to go back as soon as possible. There’s a real sense of hospitality: Sergi’s mother, a former restaurateur, buzzes around in the mornings welcoming happy regulars who come for a hearty breakfast or a leisurely lunch; Catalan cookbooks, including some prizewinng and highly recommended books by Sergi and his mother – lie piled on a table near the entrance. The interior is light, simple and contemporary with some nice design touches but, as with many Eixample restaurants it is limited by the long and narrow space available. On my second visit I had the €50 tasting menu with €25 wine pairing. Like the food, all of the wines are Catalan, carefully selected and offer good value. Full disclosure: on this, my second visit, Sergi invited me to the meal. I’d have happily paid. A warm and silky smooth cauliflower cream, with pea shoots and crushed nuts. Mar i muntanya (surf and turf) combination of sticky, slow-cooked pork jowl with prawn. Then Sergi’s “dish of the forest”, composed to resemble an autumn/winter forest floor. Creamed sweet potato, nuts, wild porcini, vinegar-infused chanterelle mushrooms, cured wild duck, nuts and baby leaves. It’s a very nice standalone dish but it’s a bit weighty as a tasting menu component because of the hefty base layer of sweet potato. Vietnamese-style crab, with sweet, earthy and tender peeled broad beans, coriander leaf (cilantro) and lemon. A beautiful hunk of firm, fleshy sea bass, Ebro delta oysters, local artichokes radish flowers and chard in a lightly citrusy broth. Wonderful ingredients, combined well, cooked perfectly. Then one of the nicest-looking plates of rice I’ve ever seen. Sergi’s friend hunts duck and forages for wild truffles in the 1,000-year-old forests near his hometown and this is the result: a deep, earthy and primal dish that does complete justice to the ingredients. For dessert, one of Sergi’s specialities: chick-pea (garbazo) fritters. Chick-pea flour was widely used in Catalonia in the 17th century and Sergi’s taken it from the history books and back onto the plate. The doughnut-like, cinnamony fritters, fried to softness and not a milisecond more, sit dusted with sugar in a puddle of crema catalana; not a light dish but anyone with a sweet tooth will love it. A selection of good coffee by region and some perfunctory petits fours are available to finish. Sergi de Meià is a restaurant that’s easy to love. This is authentic, satisfying food that builds elegantly on the the strong foundations of traditional Catalan cuisine. The restaurant doesn’t stick as closely to the classics as somewhere like Freixa Tradició but the dishes share a similar sense of elevating the everyday without losing its essense. Both the lunch menu and the tasting menu are excellent value given the quality of ingredients and level of cooking. It’s not a destination restaurant for fine dining tourists but it’s a treasure for those of us who live here. You could come here every week and enjoy tasting the changing seasons on your plate – as many people do, judging from the lunchtime clientele. 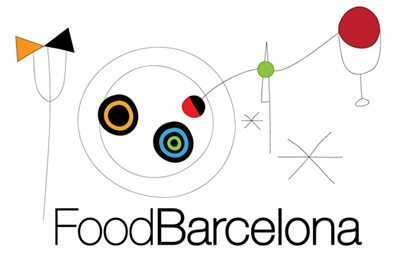 Find Sergi de Meià on the FoodBarcelona restaurant map. Discover other restaurants in the Eixample.